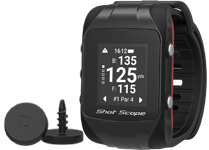 What is the best Shot Scope feature for your golf game? Knowing how far I am going to hit the ball. What is the best Shot Scope feature? P-AVERAGE YARDAGES great for club selections. What is your target handicap? Marshall at The Ryder Cup, being on the green celebrating with the players. Playing moment would be winning the Mizuno Singles. 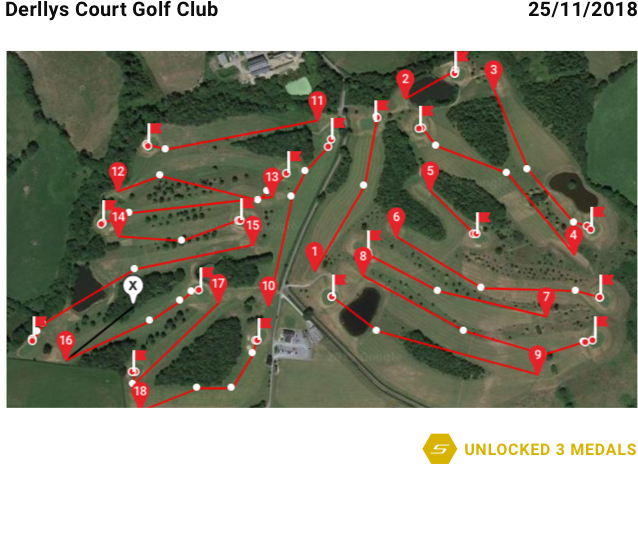 Best course that you have played? With Shot Scope I know when I pull a club it’s the right one for the required distance. 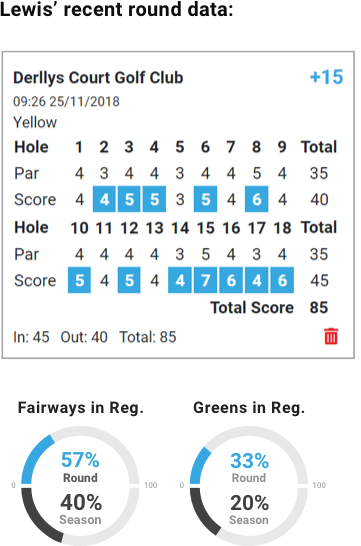 My handicap has come down from 9.9 to a low of 6.4 since the end of 2017 when I got my Shot Scope. Short range 6ft or less, medium range 7-18ft and long range over 18ft. Ideally you want to be above 80% for short range putts. Kevin should work on his shorter putts, especially since he chips to inside this distance frequently. However, he is very very good at longer putts. This statistic highlights that Kevin is more successful at hitting the green from the fairway. He not only hits the fairway 10% more, he also hits it on average 100ft (35yards) closer to the pin than from the rough or bunker. Get hitting those fairways Kevin! Kevin’s short game stats are very good. He averages inside 6ft 47% of the time, something we should all be striving to achieve! If you can chip it inside 6ft it leaves a shorter putt to hole for the ‘up and down’ – which Kevin does 55% of the time. Tee shots shows that Kevin misses the fairway to the right and left roughly the same amount. However, he does only hit the fairway 38% of the time. Kevin should work on trying to hit more fairways to improve this area of his game. Kevin’s Performance Average (P-Avg only includes well struck shots, doesn’t include thins or duffs) shows that he has good gapping between clubs. 10-15 yards between each club is ideal. His ‘H22’ club maybe doesn’t need to be in the bag, as it goes around the same distance as his 5 iron.